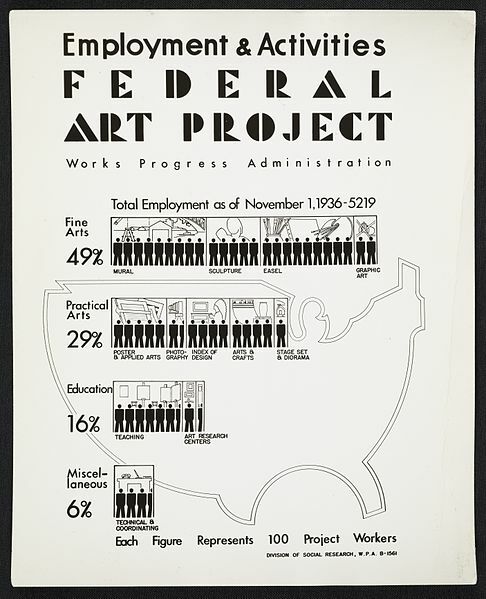 The artwork produced by the artists of the Federal Arts Project, the major visual initiative of the New Deal Works Progress Administration, is always accessible and often compelling. I think this because of the complete lack of abstraction in the works, but also because of their timeliness. 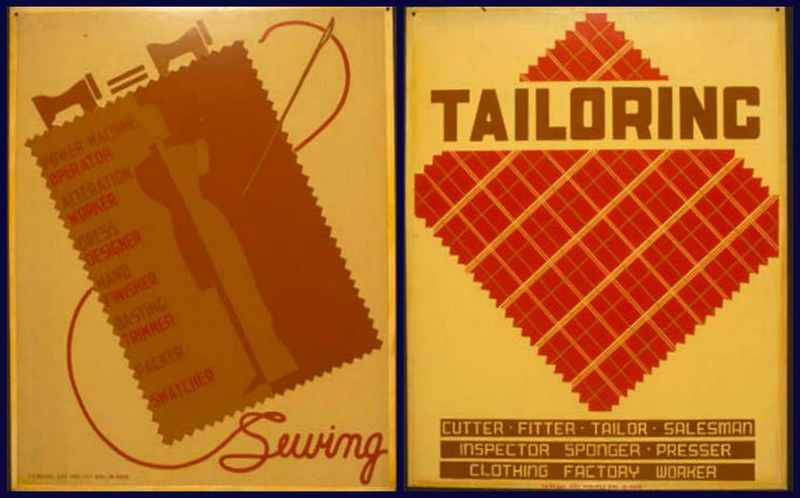 During the period that the Project was operational (1935-43), the artists it employed produced over 200,000 works of art, including the iconic poster that informed the public, their employer, how and on what they were working. 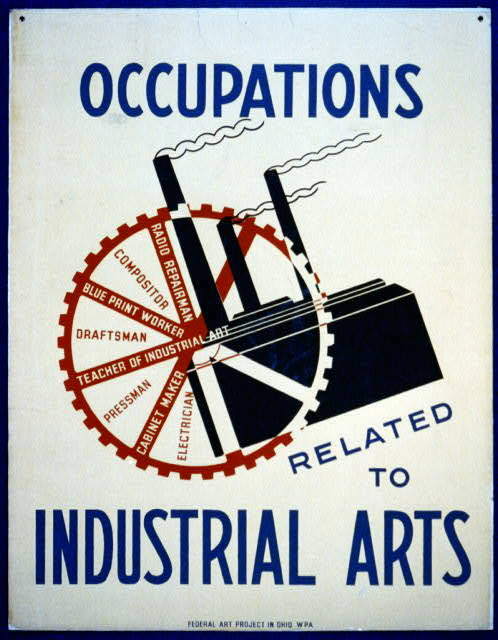 Where the federally-employed workers worked in 1936: Archives of American Art, Smithsonian Institution. I like how the FAP artists visualized work, both their own and that of other contemporary sectors. 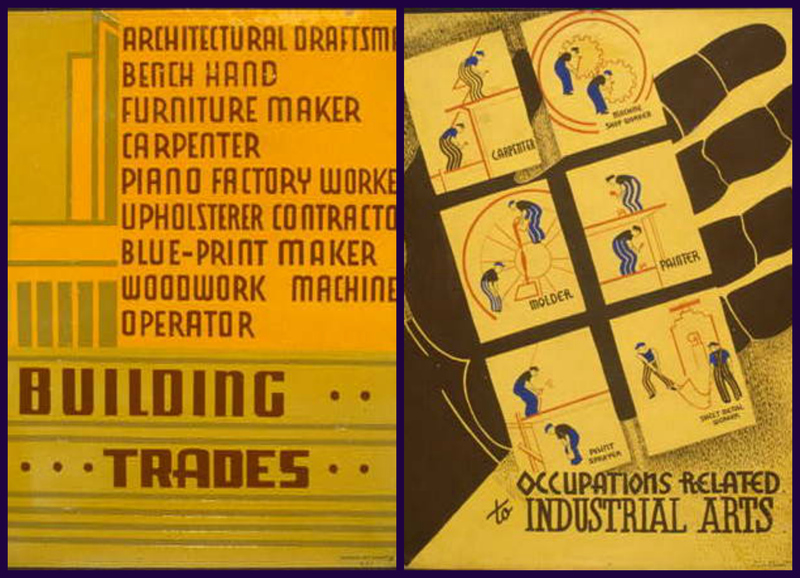 In advance of Labor Day, I was looking through their occupational posters, and thinking about work in the past, work in the present, and work in the future. For me, the Labor Day Weekend and Labor Day itself has always been less about the end of summer and more about heading back to work/school, whether as a student or a professor. This year, I’m going back as chair of my department, so I’m thinking about work in a different way altogether: rather than my own work, I’m thinking about how I can support and evaluate the work of my colleagues and facilitate the path of our students towards gainful and satisfying employment. As chair, I will also have to answer that dreaded question that always comes from students and their parents: what can you do with a History major? 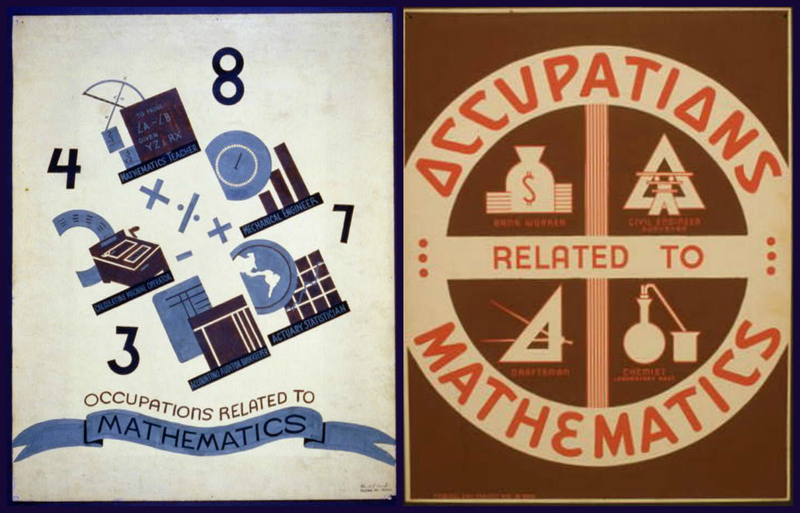 There’s a long-winded answer (basically anything and everything), and I wish I had one of the FAP’s occupational posters to help me animate it! I just might have to commission one. 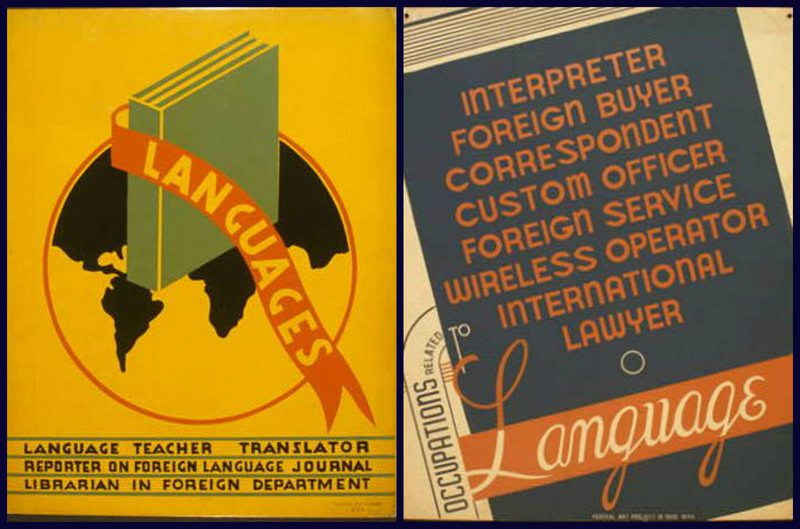 FAP/WPA Posters from the collection of the Library of Congress. This entry was posted on Friday, August 30th, 2013 at 8:32 am	and tagged with Art, design, holidays, Labor Day, Teaching and posted in Culture, History, Paper. You can follow any responses to this entry through the RSS 2.0 feed. Oh, where are Roosevelt and Frances Perkins when we need them? It certainly was a very different time, in so many ways. just amazing to look at – in terms of graphics and ideas. 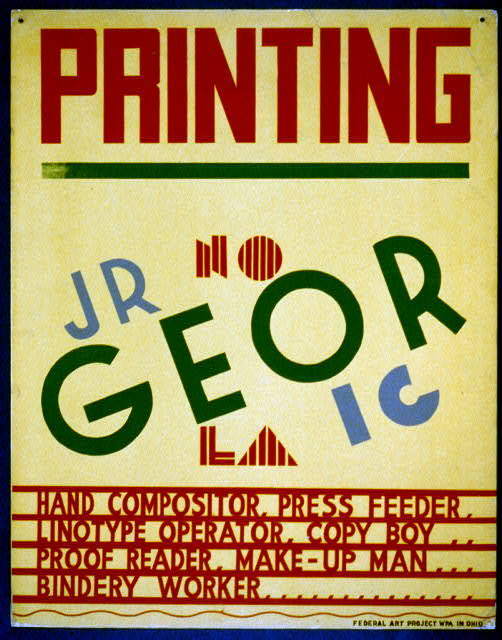 You are right about it being a different time – the words chosen for the posters make that so obvious. I am happy to have this as part of my ‘visual library’ and to know I could find it again in the Library of Congress. I can give your students a good long list of things I did with a history major! 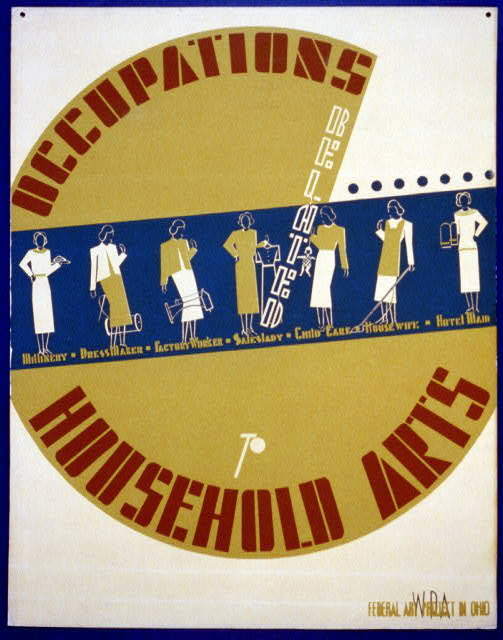 I am always impressed with the quality of the work produced by the WPA. It is a subject well worth studying.